Deep analysis . Targeted consultation. Trusted solutions. We maintain main industry certificates to assure the highest quality services to our clients. Today DEAC is a well-known data center operator in Europe. High security standards, tailor-made IT solutions and professional experts are DEAC’s key factors to build a reliable IT platform for any business’ needs. EPS LT, UAB is IT and financial services business with over 20 years of experience of providing payment and loyalty card systems to largest retail networks, telco operators, banks and insurance business in the Baltic States, Ukraine and Belarus. WoraPay is the payments without the queues platform founded in 2012 and specialising in helping retailers to increase sales and profit by allowing their customers to avoid the need to queue to pay. Senukai is brand name for one of the largest home improvements retail, wholesale networks in Lithuania with sister networks in Latvia, Estonia and Belarus. On top of brick and mortar shops, Senukai runs e-commerce site. Having started the business in 1992, Senukai today is one of the largest employers in Lithuania. 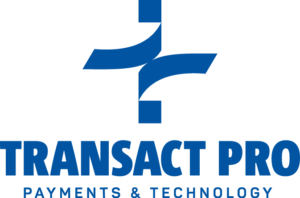 Transact Pro provides on-line payment acceptance and processing services as well as debit card issuance services for corporate customers. Transact Pro is a licensed e-money institution and a principal member of MasterCard Worldwide with PCI-DSS Level 1 certification and has the Visa Europe and MasterCard Europe cross-border licenses with the right to provide acquiring services. ASHBURN International is a one of the biggest payment service providers in Lithuania providing banking payment card, e-commerce and loyalty system solutions. Gintarinė vaistinė (Amber pharmacy) is one of the largest pharmacy networks in Lithuania, priding themselves on great customer care, professional and knowledgeable pharmacists and state of the art facilities for production of bespoke medical products. Paysera is a safe, cheap and easy way to perform payments or send and receive money online. We are working each day to make difficult and complex processes simple and expensive services cheaper.